The month of November means that many of us start getting serious about our holiday shopping as Thanksgiving looms near which means gift-giving season is right around the corner. With so many brands to shop and gift guide after gift guide landing in our inboxes brands are stepping up their festive game and creating eye-catching holiday collections. 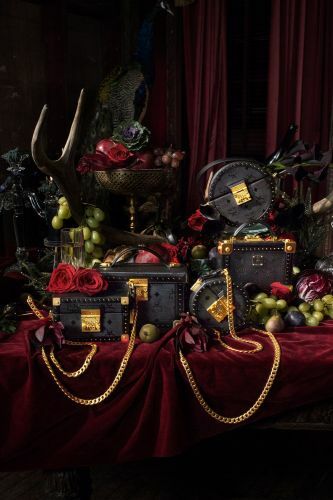 MCM's newest campaign stands out from the crowd with not only a fun and interesting set of celeb siblings, but some really cool bags and accessories to gift the ones you love-or yourself!-this holiday season. MCM's 2018 Festive Campaign features the Richie Siblings-Miles and Sofia, children of famed singer Lionel Richie. I love that this campaign features siblings, because let's be honest, the holidays are all about family. Elegance and glamour are ever apparent throughout the campaign as MCM emphasizes the impact of youth culture and influencers on the retail industry and our society as a whole. The last Posts from "Purse"
Can the Chanel Gabrielle Bag Stand the Test of Time? PurseBlog Asks: Would You Wear a Purse Rain Coat?